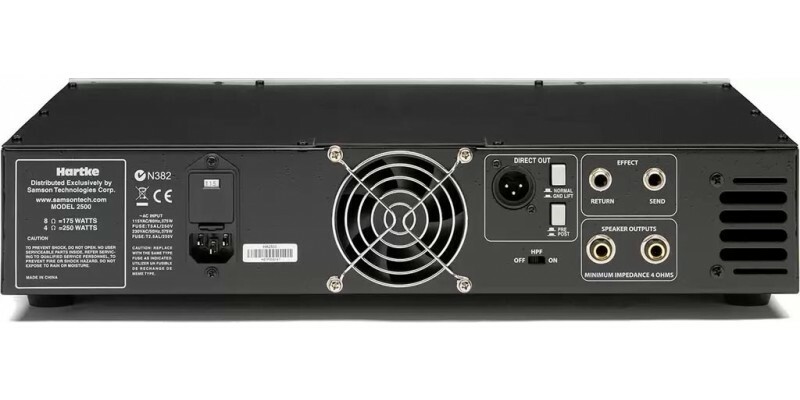 The Hartke HA2500 is a bass amp head capable of outputting 250 watts at 4 Ohms. 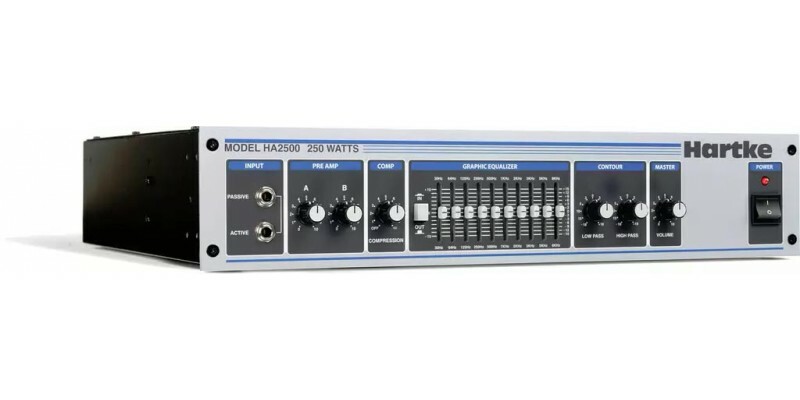 Ideal for a small to medium size bass rig, the HA2500 will produce a clear and punchy tone for your bass guitar. The HA 2500 features adjustable compression, a ten band graphic EQ along with rotary bass and treble contour controls to shape your sound any way you like. There is an in/out button which allows you to punch in a preset EQ curve at will. 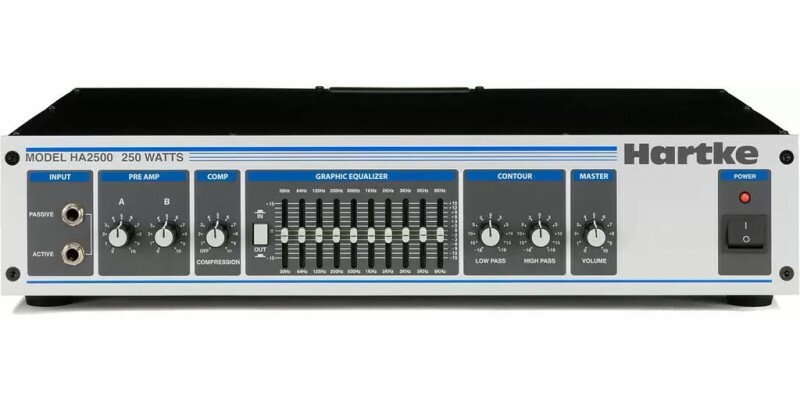 Other features such as an effects loop and a protection relay circuit to prevent unwanted 'thumps' when powering on and off show that this is a pro bass amp ready for stage or studio. As with all Hartke bass amps, the HA2500 head offers superb sound and value for money.